Home > Uncategorized	> Cogratulations to Peter O’Hara – Over 40 National Champ! Cogratulations to Peter O’Hara – Over 40 National Champ! Many Congratulations to Peter O’Hara on becoming Over 40s British National Champion for 2013. 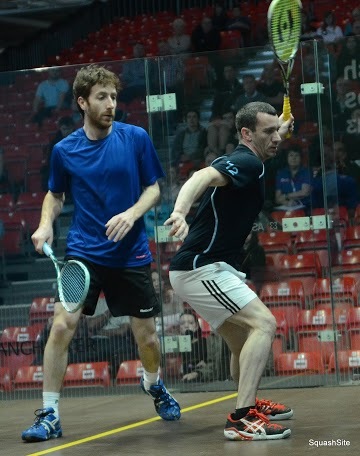 He took the title 3-1 in just 29 minutes when he beat Jamie Goodrich (from Norfolk) in the final. The Championships were held at Manchester’s Sportscity last week and Peter led the Scottish charge with what looks like a comfortable win (with all but one games not going over 29 minutes). DLWE v SSRC – Home (Match Report) 21st February 2013 Harrow Sponsored Katie Gregson-MacLeod – Scottish Under 13s Champ!